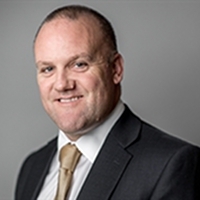 Mitie, the facilities management company, has appointed Bob Forsyth as the new Managing Director of its cleaning business, Environmental +. Environmental + is one of the largest cleaning businesses in Britain, responsible for cleaning everything from banks to shops, world-famous hospitals and international airports. The cleaning business is commercially central to Mitie – generating £400 million in revenues every year and employing over 33,000 cleaners across the country. Forsyth adds this position to his existing responsibility as managing director of Mitie’s security business. Bob, who has over 10 years’ experience with Mitie, will focus on bringing innovation to the cleaning industry based on his strong performance and proven success in leading the security business for the last six years. Jason Towse will widen his remit. As managing director of Mitie’s Total Security Management business, Jason will be responsible for both people and technology services, supporting Bob and continuing growth in the security industry. “I am excited to have been given the opportunity to widen my remit within Mitie, and since taking on the role I have seen several areas in which we can take the Environmental + business forward in a really positive way. “Our Environmental + business is fundamental to Mitie and I’m looking forward to helping establish it as the industry leader through delivering excellent service for clients, looking after our people and driving innovation and fresh thinking.